The airport might be nice, small and clean, but there is a big BUT: 2.5 hours before departure the queue/line was already going all the way through the airport (that means the double length of a normal full line) - but the check-in counter was not open. They didn't work. I am sure you had to queue for more then 1.5 hours with that airport service. I am sorry, but the airport is not modern, since they don't accept boarding passes on a smartphone - they make you to go back in to the line to get the boarding pass printed. 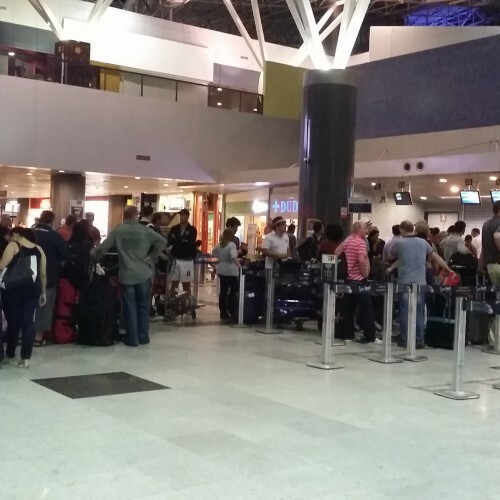 Since I did already the check-in online and had no baggage, I could go to the fist class line and skip the 1 hour check-in line (otherwise I would have been very upset and angry with the Recife Airport). Also not perfect: It is a bit complicated to store the luggage inside the airport and it's very difficult to find it (you have to ask a person). Recife Airport is definitely the best airport I have been through in Brazil. The scenery coming in to land is impressive. The architecture of the building is very modern and excellent use is made of natural lighting. There is an excellent observation deck on the second floor with a good selection of restaurants and shopping outlets. The first floor is departures and the ground floor is arrivals. Selection is good landside and even airside there are enough options for an early flight including a 24-hour coffee shop. Security is extremely tough. Be prepared to take off belt shoes wallet etc. Check-in machines strategically placed and few queues (although my departing flight was at 3.30 am maybe the situation is different during the day) - I arrived at lunch time though and no problems either. Excellent connections into Boa Viagem and downtown via bus 042 (Aeroporto Opcional) passes in front of airport very frequent (daytime only). Taxis are also readily available a trip to Boa Viagem Beach shall be about R$ 20 which is about USD 8. 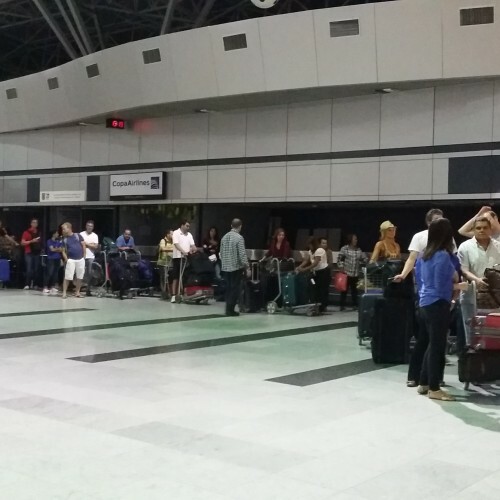 The airport deserves more international traffic as Recife is a major tourist hub. Current flights only to Frankfurt (Condor) Panama City (Copa) and Lisbon (TAP). 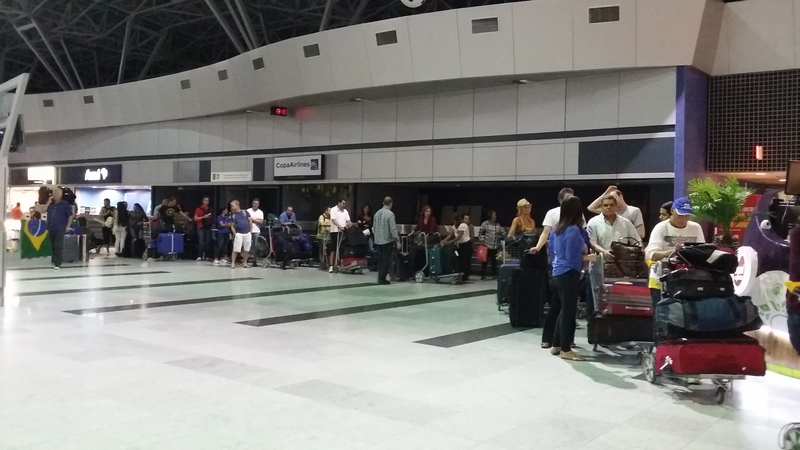 A tip: if you are flying out of Recife be sure to take some "bolo de rolo" with you. It's a local delicacy a kind of guava cake. The airport terminal was built from scratch beside the old building currently closed. It has a huge skylight from end to end making good use of natural light that reaches all floors through an atrium. Many sculptures are integrated in the project which gives it an interesting touch. Facilities are good enough. The local delicacies stores are surely to be visited. 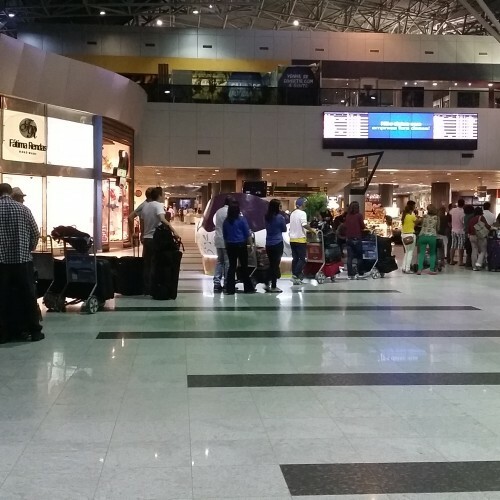 Totally sets itself apart from most Brazilian airports whose problems usually begin at finding a parking spot and extend through all possible aspects up to the boarding ramps. Very good array of shops ahead of security. Very modern very clean. Far nicer than the other airports that I've encountered in Brazil. One of the best choices in Brazil. The airport is very modern pretty and clean it can be considered an architecture beauty. Way better than São Paulo and Rio. One of the nicest most modern airports in the country. Decent array of shops and restaurants. Not a large selection between security checkpoints and departure gates but that is typical and here it is still far better than at Fortaleza a city of similar size. 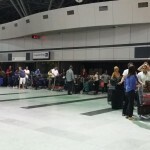 Airport is close to town especially beach areas so transportation is usually easy. How many agents are actually working at the check-in counters can vary widely but I assume that is the responsibility of the airlines.